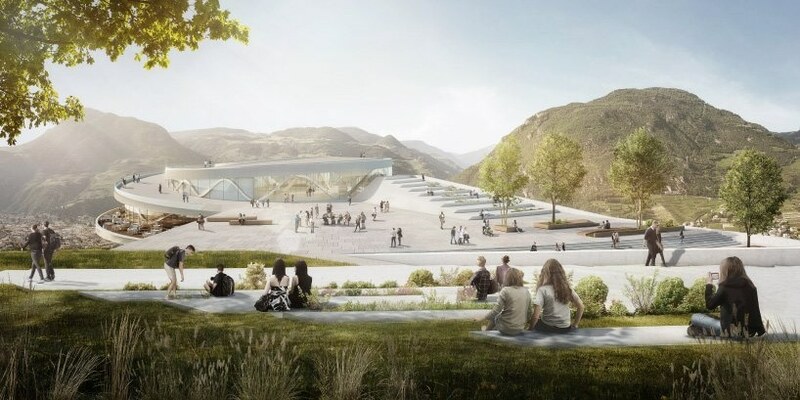 snøhetta has proposed a new museum quarter for bolzano, a city in the south tyrol province of northern italy. 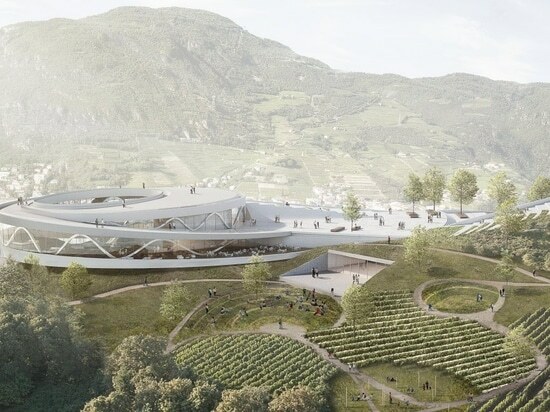 the plans see the potential construction of a building on top of the virgl mountain, overlooking the town below. 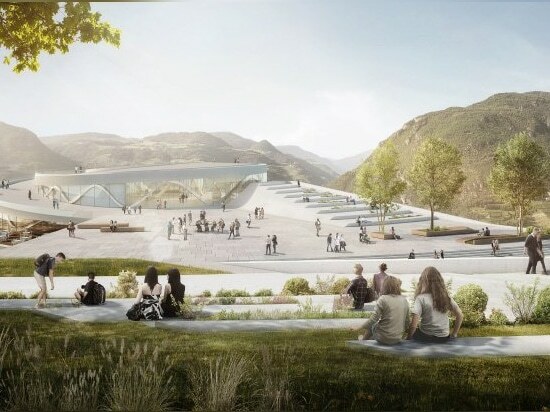 together with a planned cable car structure, also designed by snøhetta, the complex has been conceived as a terrace for the city’s inhabitants. 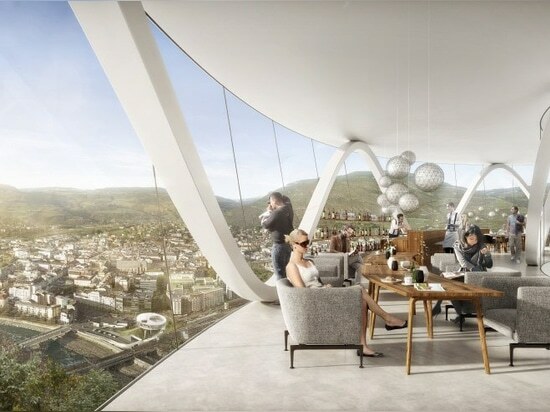 as a new landmark for the area, this elevated public space will still be perceived as being part of the city given its proximity to the center of bolzano and the accessible cable car connection.the design study has been conducted by snøhetta on behalf of the signa group to develop the virgl as a potential site for the new museum quarter. 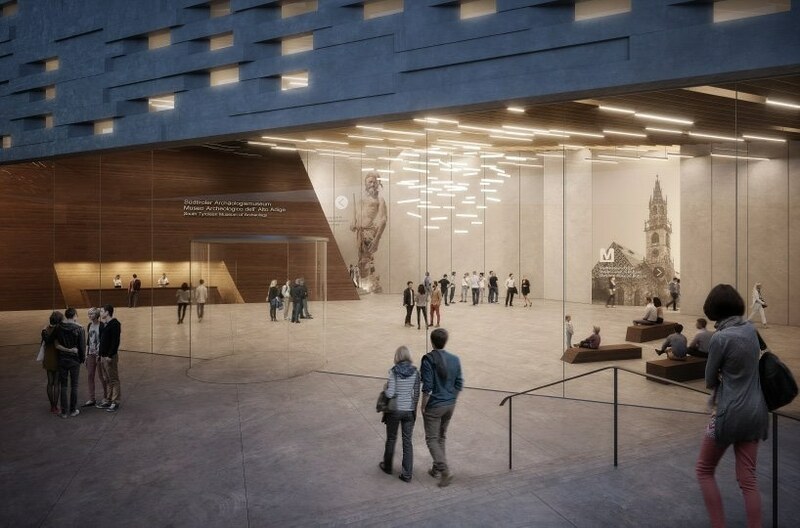 the complex is intended to accommodate museum spaces for the south tyrol museum of archaeology and the municipal museum of bolzano as well as exhibition spaces for ‘ötzi the iceman’ — a 5,300-year old ice preserved glacier mummy who was found in 1991 with his clothing and equipment still intact. 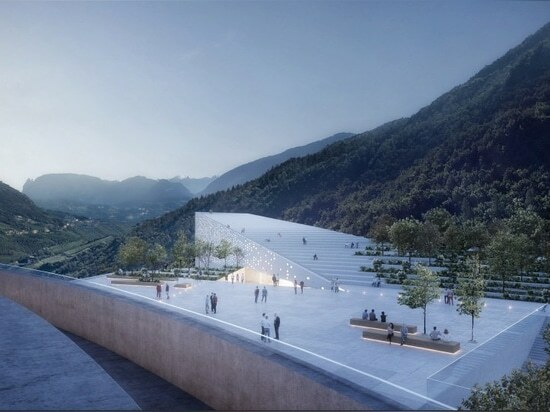 envisioned as an extension of the mountain terrain, the building has been designed to blend into its surrounding topography. 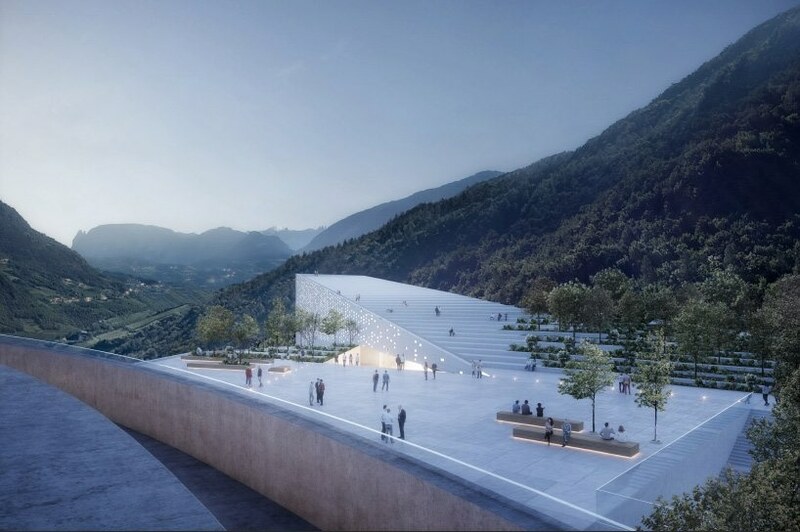 together, the elongated museum structure and the ring-shaped station form an ensemble. 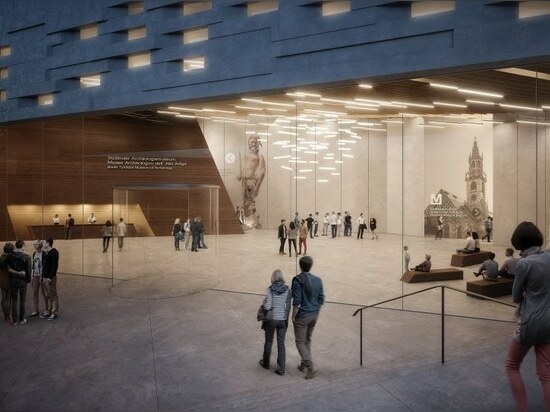 arriving from the station, visitors can enter both museums through an open space on the roof and a joint foyer. 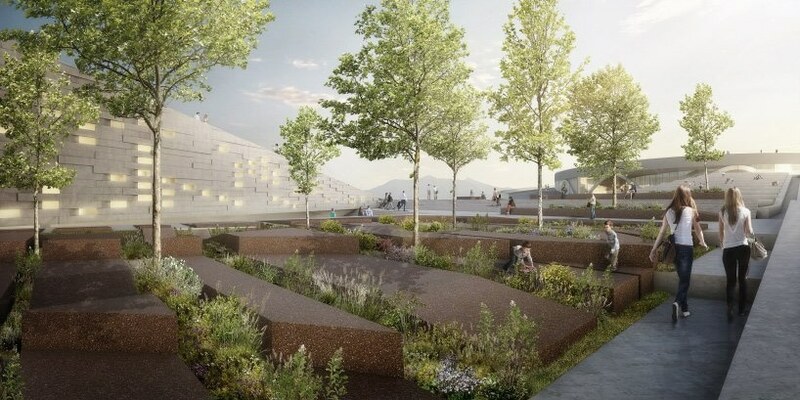 the roof terrace of the station and the top of the new museum quarter building will provide views of the city and the surrounding landscape, serving as both a meeting point and an arena. 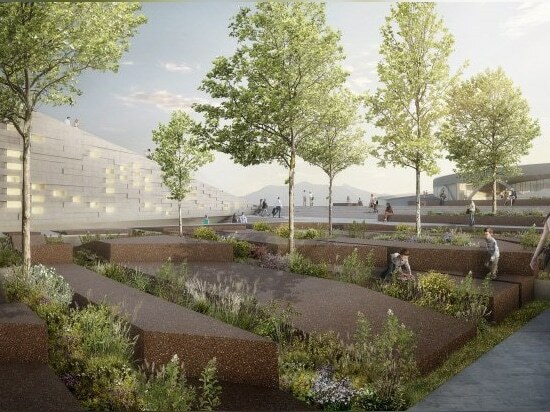 the roof will act as a vibrant public space, usable for a wide range of events, while the surrounding landscape will be developed for leisure activities such as walking, hiking, or biking. 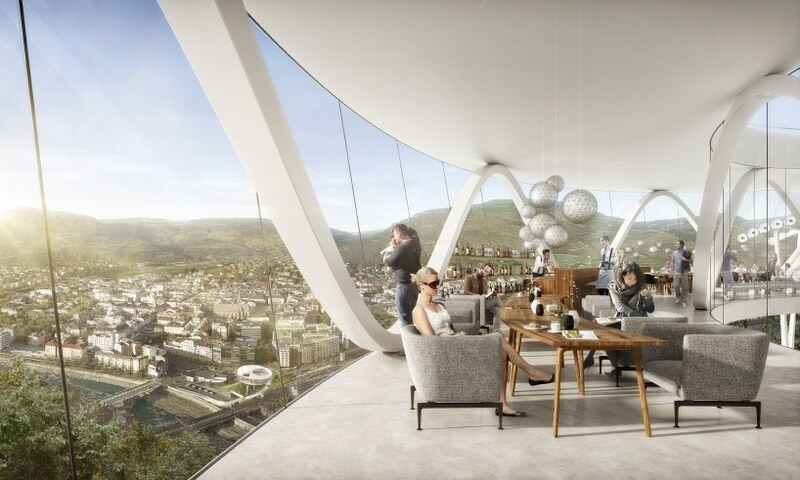 with snøhetta’s competition-winning proposal for the cable car, the top of virgl mountain could potentially be reached in about seven minutes from the city center.